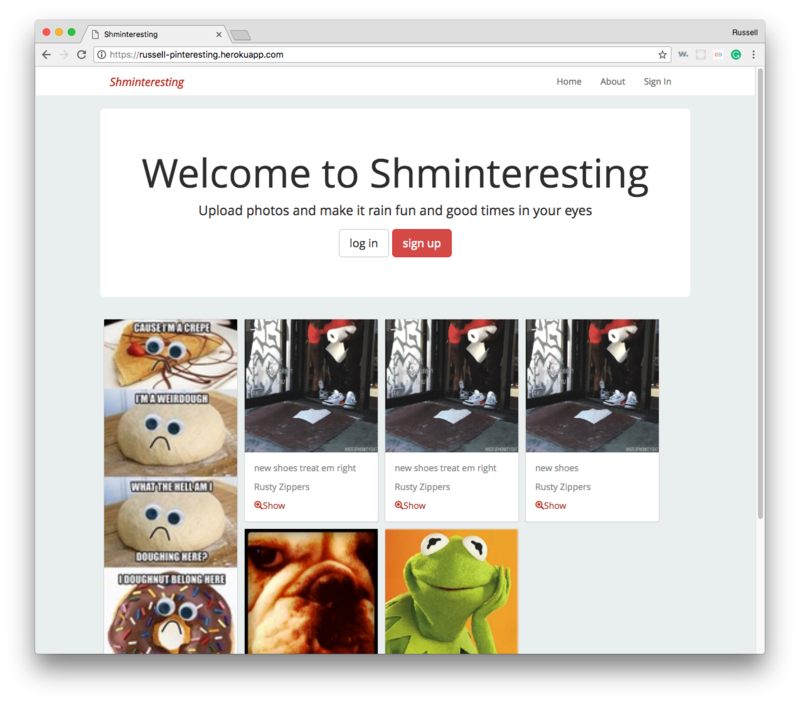 This is a Pinterest clone based off a One Month Rails course I took eons ago. It was a fun introduction to Rails and image processing, and used the Devise gem to handle authentication. Designed to be a close approximation of Pinterest, I think this came reasonably close. Clean, lots of white, splashes of red. I added fun primary colors to match my zany choice of memes and pictures.